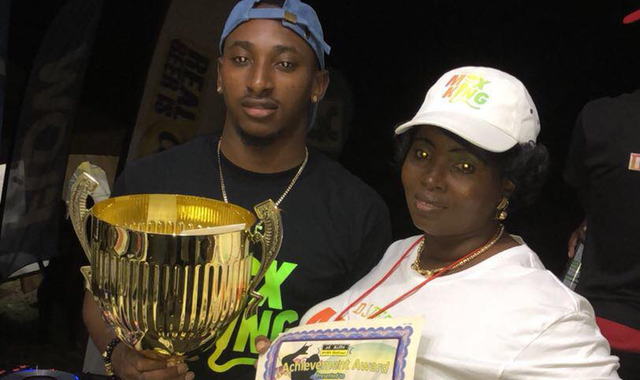 The exciting DJ Tero emerged winner of the 2018 St. Kitts Music Festival DJ Competition in what many say was one of the most action packed DJ competitions since its inception three years ago. Patrons packed into this year’s location, Jamroc Restaurant in Frigate Bay, to watch 10 of the country’s most talented DJs perform live using past and present Music Festival themes. Back-to-Back winner DJ Tero won first prizes of $3,000 cash, an Angostura one-year contract, two trophies and 60 to 90 minutes performance at the St. Kitts Music Festival. In second place was Selector Purple, coming out of Nevis, winning $1,500 cash and 60 to 90 minutes performance at the St. Kitts Music Festival. Akaii U Sweet rounded off the top three positions winning a $1,000 cash prize. Then there was a mini-clash of sound and rhythm between BlackStone Sounds out of Nevis and Xtortion Sounds out of St. Kitts. That match-up resulted in a win for Xtortion Sounds. And something special for the ladies… Several patrons turned up with white sheets or blue coloured hair, mimicking popular dancehall artiste Spice, who will appear on the opening night of the three nights of concerts. It was an enjoyable piece of creativity coming from patrons that everyone enjoyed. In spite of the inclement weather, which was improving as the hours went by, the start of the DJ Competition was only delayed by 15 minutes. It was a show that ended at about 1:15 am Saturday. Awards and prizes were presented by the St. Kitts Music Festival Ambassadors, with assistance coming from Ambassador Jonel Powell, chairman of the Production Committee for the St. Kitts Music Festival. Music Festival Bar Crawl hits island weekend It’s Music Festival Time!